A WDH Community Grant worth over £450 has helped keep a local beauty spot clean and safe for local fisherman and residents to use. Wakefield Angling Club has been working for over 10 years to maintain Walkers Dam, Alverthorpe, in order to make it appealing to fishing club members and members of the public. The money from the grant was spent on trees, shrubs and plants to continue to improve the environment around the Dam in order to attract more wildlife and visitors to the area. 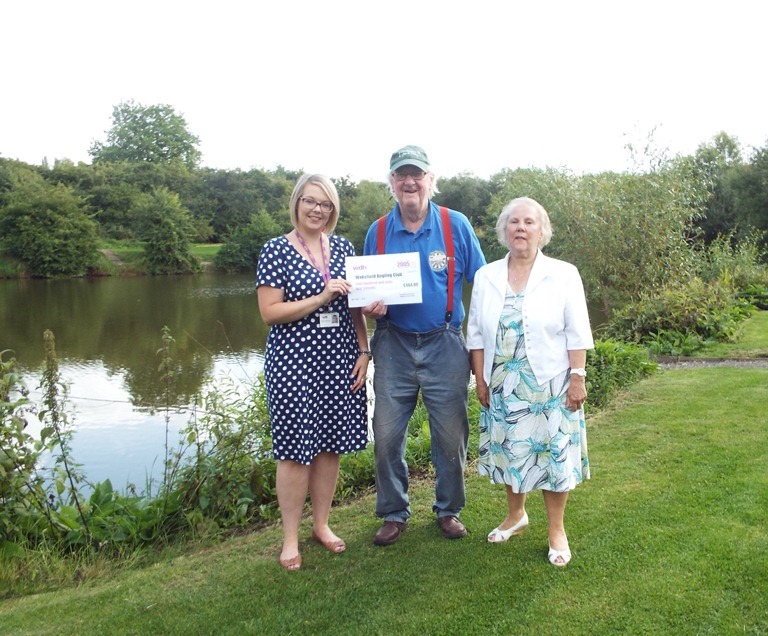 Kathryn Hutchinson, WDH’s Tenant Involvement Officer, and Dorothy Kitchen, a member of WDH’s North West Area Neighbourhood Panel, presented the cheque to Mr Lodge on behalf of the Wakefield Angling Club at Walkers Dam. 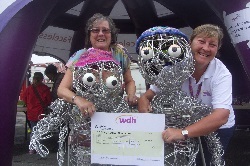 WDH has offered more than £152,000 of community grants to local groups in the last 10 years.